Woo Hoo!! 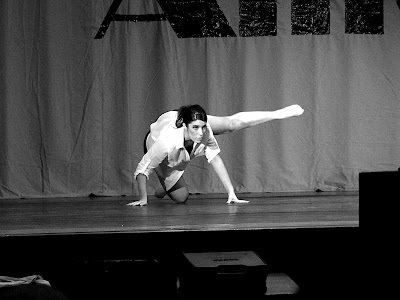 Kelsie had a dance competition all day Saturday (and I mean all day, up early in the morning and back home after 9 pm). She danced in 5 dances and received 1 High Platinum, 1 Platinum, 2 High Golds and a Gold. The picture below is her duet and it was just beautiful. The senior company group did an acapella (no music) tap that was just awesome...that received the highest award. I wish I had that on video. We are so very proud of her. Congratulations Kelsie!! Courtney and Courtland made a delicious batch of Greek Baklava. It was their first time baking with filo dough and it was soooooooo yummy. 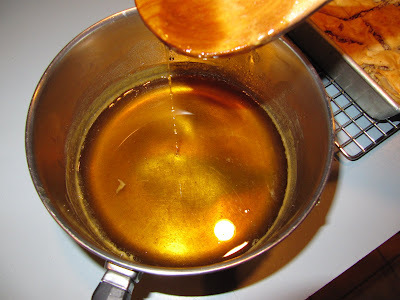 This is the pan when it first came out of the oven and then the next picture is the honey syrup that you pour all over and let it soak in. It was the best ever. I think the recipe is from the Food Network from Emeril. My sister gave me this cutting mat for my birthday. It rotates on the black bottom for easy cutting. You don't have to move the fabric when trimming blocks or squares, the fabric stays put and the mat moves. Love it. I work in a dental office and I needed new work shoes. My sister gave me a gift certificate towards a pair of Danskos. I've worked in a dental office for 30 years and this is my first pair. They are fabulous...the most comfortable shoes ever. I about choked when I saw the price, $120.00. I have NEVER paid that much for any pair of shoes in my life. Thankfully with her gift certificate I only had to pay $50.00. They come in so many colors and styles, this style is the professional. Mine are black patent leather and are too cute. 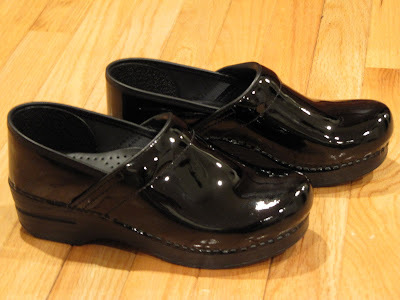 In the patent leather style, there are a number of colors. I almost bought the Petrol color, which looks like gasoline with all the swirly colors. Here's a link if you're interested. They are quite popular and people wear them as regular shoes because of the support they give your feet. I bought them Thursday and I wore them all weekend. The last picture is my work pants, but they look great with jeans. Best shoes I've ever had. Thanks Colleen...love ya! I also wanted to take this chance to thank everyone for all your wonderful comments and emails. I try so hard to get back to all of you, but with life getting in the way, it may take me a while. Just know that I read every single one and they mean the world to me. Have a wonderful day and see you tomorrow! 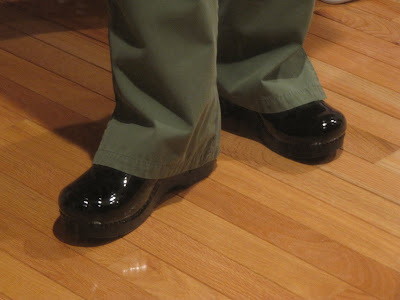 I recently bought Dansko shoes on the recommendation of two friends. But I just couldn't bring myself to pay that price for them. So I looked around online and found a great site with great prices. Check out www.6pm.com next time you need a pair! Congrats to your daughter!!! I have one of those rotating cutting mats and LOVE it. Congrats to your family on such a wonderful and talented daughter! 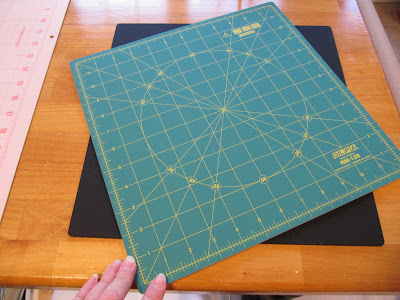 Love the cutting mat, I just got one about a month ago and it is just darn super! Looks like great support in those shoes. I too had to break down and pay about $100 for good shoes as I have a problem with my heel. Getting old is a bummer! you will love that cutting mat, I got one like it about 3 years ago and use if for trimming all of my small Dear Jane blocks and other blocks to of course, but it so nice just rotating the mat and not having to turn the small blocks. Cute shoes. I saw 2 teachers wearing the same ones recently. Now it makes sense. Congratulations to your daughter! She is a beauty. 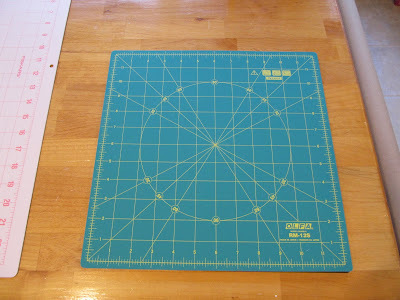 I wish I had one of those cutting mats, it looks so cool! I love the picture of your daughter. She looks tall....so I know the effort to hold that beautiful leg up with such percision. I have long legs and she makes hers look weightless. She looks like a beautiful dancer and a beautiful girl! I know how proud you are! Kids accomplishing something so exciting is a wonderful feeling~! Love those shoes. Look comfy and comfy often costs but its worth it! I got one of those cutting mats for Christmas from my hubby and it is wonderful! Anything that helps my sewing be more precise. Congratulations to you daughter! I recall videotaping many dance recitals with two girls and the tapes are nice to have. They enjoy looking back but neither took dance to a competition level. You must be very proud and next time, tape her performance! I can't believe the price of cutting boards, they are so expenisve nowadays, and I could so do with a new one. Love the photo of your dd. What a happy and joyful post! Congrats to your daughter..how wonderful for her. Love those shoes...and you will love your mat. It's one of my favorite things I use! Your daughter is so talented! COngratulations! I love your post! 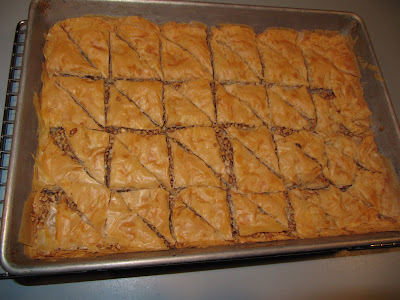 I made Bulgarian baklava over the holidays and it is soo goood! I am a proud owner of a Dansko sandals and they are so worthed! I recently order that mat! I am glad you like it and I am sure i will too! Great variety on this post Karen - so fun! You just haven't gone the right aisle in Home Depot for the little turntable widget! A while back, I needed a turntable so my mom could turn the tv so it was ok when she was in bed or in the other direction when she sat in a chair. The TV turntables was too big, ugly looking and expensive, so we bought a cute wooden tray and then found a slim turning mechanism in the hardware store. Super glue got the two items together. I think I used an old cork hotpad to glue on the bottom of the turning mechanism to protect the table. For a cutting mat, just cut a thin piece of wood the size of the cutting mat and superglue everything together and you have a rotating cutting mat. Ta da! I'm starting to think like you! I love your ABC's. I have C--and it is a must have for trimming blocks. Now I must get some of D!